Have you caught remodeling fever? With all of the home improvement shows on TV that continue to gain in popularity, you’re certainly not alone. 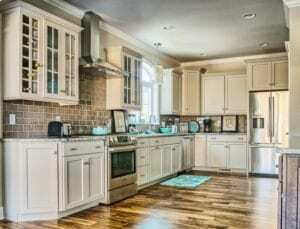 And hardworking kitchens always seem to beg for a little “freshening up” ahead of other rooms in our homes. 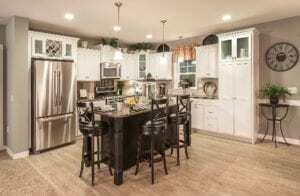 Remodeling your kitchen does have many advantages from creating better workspaces for the cooks in your family to adding real value to your home. But, how do you assure that you will be happy with the outcome of a kitchen remodel? These projects take considerable time to complete and can require a significant investment depending on your goals. And, it’s true that there are plenty of horror stories about new appliances that don’t fit through doorways as they’re being delivered or even sketchy contractors who happily accept payment and then vanish into thin air before completing their work. As you’ve also seen on those TV shows, many things can go disastrously wrong during any renovation project. How do you avoid the numerous pitfalls of improving your kitchen? The simple answer is planning ahead before you get to work or pick up the phone to schedule estimates with contractors. Provide your own honest answers to our checklist of questions here to be sure your kitchen remodel is a successful and low-stress endeavor! This question may seem like a no-brainer, but it’s actually the most important one to ask before launching a kitchen remodeling project. Taking the time to answer this question thoughtfully and listing all of your reasons for wanting to remodel will help you make the best decisions. Think about a few key things. First, do you NEED to remodel, or do you simply WANT to make upgrades? If you have appliances that have reached the end of their useful lives, such as a stove with non-functional burners or a refrigerator that’s getting ready to quit, you may feel that replacing your entire suite of appliances is necessary. Or perhaps the workflow in your kitchen is just exceptionally inconvenient and doesn’t adhere to the ideal working triangle theory of design. It’s possible that your cabinets are deteriorating and creating a hazard in your food prep area. You may even be getting ready to put your home up for sale, and the realtor has advised that your outdated and not fully functional kitchen will hurt your chances with buyers. These points are great examples of real needs for remodeling. Of course, maybe you just want to improve the look and feel of your kitchen with newer fixtures, surfaces, and lighting. You may have moved into your house a few years ago and took over a kitchen that’s not your style, with dark wood cabinets when you prefer white, or an overall country décor scheme when you prefer the clean, simple lines of a more modern style. These less need-based reasons are still great justification to begin remodeling, but it’s important to make sure that there are not things about your current kitchen that you’ll miss once they’re gone. 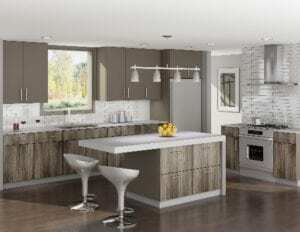 Another bigger picture question to ask yourself before remodeling is how you use your kitchen. Not all of us are cooks who enjoy spending hours crafting gourmet meals, and that’s okay! But, you may think you need specific upgrades in the kitchen that you’ll never actually use. That pot-filling faucet directly over the stovetop that requires extensive plumbing changes to install? If you don’t actually do a lot of boiling on the stovetop, you likely will not often use that feature. It may look nice in the design magazines, but you probably don’t need it. Think about appliances in this same way. Everyone uses the refrigerator, but do you require a garbage disposal or a trash compactor (especially if you do not already have those things today)? It’s reasonable if those are “must haves” for you, of course, but many people find these kitchen convenience features unnecessary. Think more broadly about how you use the space in your kitchen, too. Does it seem like every time you entertain, everyone migrates toward the kitchen to chat even though you don’t have nearly enough seating in the room? Would you like a butcher block or island that you don’t have today? Or perhaps there are cabinets that you can’t reach unless you haul out the step ladder. This is a surprisingly common problem, but there’s no reason to have inaccessible storage in your kitchen! What’s not working about your current kitchen? On the subject of pointlessly inaccessible storage, consider the other things that are currently not working in your kitchen. We’ve discussed layout issues and failing appliances already, but are there other problems? Leaky sinks, damaged backsplashes, and gouged Formica come to mind. Or perhaps you don’t have enough outlets to plug in small countertop appliances like blenders, coffeemakers, and food processors. Maybe you hate that your microwave has to sit on the countertop and take up valuable surface space when it could be easily mounted above the cooktop or installed in an island. Whatever your annoyances with your current kitchen might be, make a comprehensive list and assure that you’re planning to solve all of the problems during your remodeling project – without creating new ones! What’s on your “need to have” and “nice to have” lists? Your next step is to determine what items and features should absolutely be in your new kitchen and what would be great to have, but might not be necessary. Use the lists you created when thinking about how you use your kitchen and what’s not working now, and you’ll easily be able to separate your needs and wants. Still having trouble? Are you more of a visual thinker? Our Kitchen Remodel Inspiration gallery right here on our website is filled with “after” photos of kitchens in a wide variety of styles and configurations to help spark your imagination. What are your personal design tastes? As we’ve already touched on, you’ll need to determine your personal tastes regarding overall style before you begin remodeling. If you’re like many people, you already know what types of décor make you feel happy and what you can’t stand. Think about colors you like, your furniture throughout the rest of your house, and even the vintage of your home itself. For example, perhaps you prefer modern styles, but you live in an 18th-century farmhouse. Blending the architectural realities of your historic home with your aesthetic preferences may present unique challenges! Further, think about things like lighting. Does your kitchen get a lot of natural light through windows, or do you need to illuminate the space with many light fixtures? Lighting can affect color choices on walls, counters, backsplashes, and cabinetry depending upon whether you prefer an overall bright, dark, or neutral scheme. Here at Red Rose Cabinetry, we can customize cabinets, which usually dominate the overall décor and color scheme in most kitchens, to achieve any style goals you have. As you consider your personal tastes and style preferences, it’s wise to think about how long you plan to live in your home. 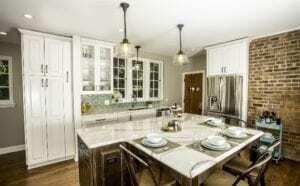 If you are looking forward to moving in the coming few years, or are already working with a realtor to get your home on the market, you’ll want to be sure that you’re not putting too much of your personal stamp on your remodeled kitchen. You’ll also want to be sure that you’re including options and features that buyers look for while avoiding add-ons that don’t contribute meaningful resale value. According to a recent report published by Remodeling magazine (a trade publication for construction professionals), a minor kitchen remodel with an average cost of $21,000 is one of the top most profitable home renovations you can make, but some more extensive kitchen projects with much larger budgets didn’t have a better return on investment. Our designers here at Red Rose Cabinetry can help you realize the best value for your budget and advise on popular and useful features. What’s a realistic budget for your remodeling project, and what is your timeframe? Budgets for kitchen remodeling projects vary greatly, even within similar geographic areas. Your next door neighbor’s project may be budgeted for thousands more than your own, for instance. It may go without saying, but the complexity of your individual project and the nature of the changes you’re seeking to make will directly affect your budget. Do you need to complete major plumbing and electrical alterations before you can begin on aesthetic and appliance upgrades? 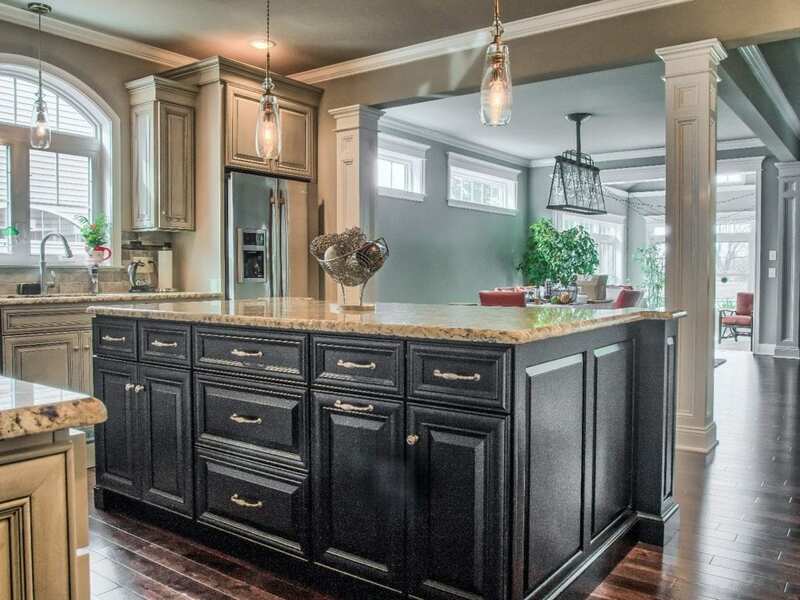 Are you replacing every single surface and fixture, or are you just upgrading countertops? And what about your timeframe expectations? Do you have a specific deadline based on plans to move or even just host a holiday get-together for extended family? Some remodeling projects can take months to complete and require dirty, noisy demolition ahead of the installation of new elements (which is noisy in itself)! And, don’t forget that you may lose access to your kitchen as the project is taking place, which in extreme cases, may require you to stay away from your home for a period of time. The best way to get a sense of what your ideal project will cost in comparison with your planned budget is to schedule a free design session with kitchen remodeling experts like us to gather estimates. We can also help you determine the realistic timing for your project, so you are not faced with any surprises. As you can see, there are many things to consider when dreaming of kitchen remodeling possibilities. A little advance planning to aid your conversations with professionals will help you get the kitchen you’ve always wanted!